By 1975 there were sufficient numbers of Saluki owners to form local breed Clubs, the first in NSW early in 1976. By then, an informal ‘Points Score’ had been conducted in Victoria as owners joined each other to compete and learn more about the breed. Of these, Brenda Connell and Jan Robert convened a steering committee which organized the inaugural gathering in Melbourne on June 20th, 1976. Although some felt that Breed Clubs could be counter-productive, a majority resolved to form the Saluki Club of Victoria and to apply for affiliation with the (then) Kennel Control Council. The SCV was approved and affiliated in August. The interim office-bearers reappointed as the Club's first Committee were Julian Guthrie (president), Graeme Adams (vice-president); Brenda Connell (secretary); Jan Robert (treasurer). Aldyth Adams, Elizabeth Campbell and Maxine Rampling completed the inaugural committee. Country members and inter-state visitors swelled the numbers at the 1976 Melbourne Royal where the KCC provided a table for a members’ and visitors’ lunch - the first "chicken and champagne" function in what was a golden era for sighthounds and social activity. That day saw the first Royal Show Saluki entry of 50 plus and also the first Hound Racing demonstration on the main arena, before a huge audience. To the fore were Elizabeth Campbell's Ch Akhelteke El Bikr (Racing Ch.) and Peter and Robyn Ward's Ch Elarabie Abdul Krim (Racing Ch.) Racing at that time was conducted by the Victorian Hound Racing and Natural Instincts Association, an offshoot of the Hound Club of Victoria. Unfortunately, after ten years of often frenetic activity, VHRNIA folded. Prominent in the later Administration were Saluki owners Brian Dixon and Peter Ward. 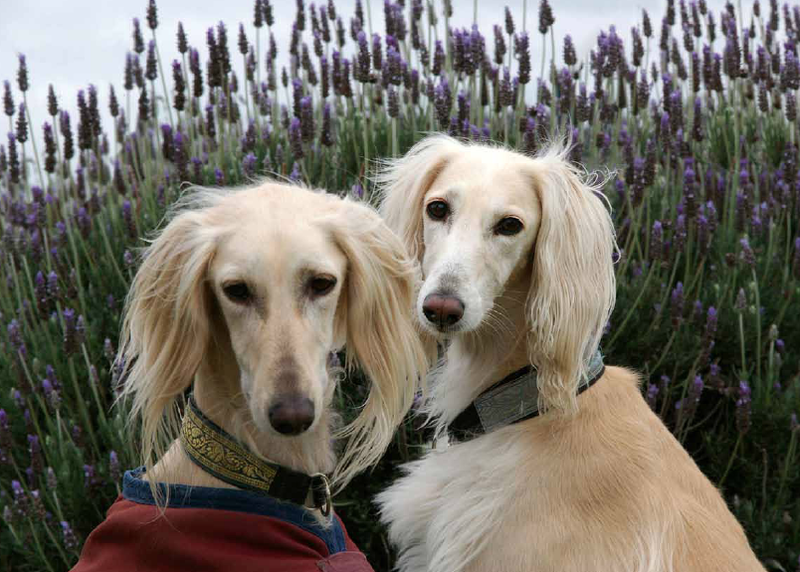 Formed in 1976 at the peak of pure-bred canine activity, the SCV has seen great changes in the Victorian Dog World. Long administered by appointees from the Royal Agricultural Society (RAS), the old Kennel Control Council (KCC) eventually handed its registration and administrative duties to the Victorian Canine Association (VCA), a democratically elected Board of Management. The VCA appoints delegates to represent Victoria on the Australian National Kennel Council (ANKC) as the various State and Territory bodies gradually submit to more uniform Rules and Regulations. Agricultural Society Shows with their dog sections are no longer the main focus except at the annual ‘Royal Agricultural Shows’. VCA headquarters and the major metropolitan shows which were mainly held at the RAS Showgrounds have been moved to the VCA's member-owned facility at KCC Park in Skye and the leased grounds at Bulla. Although the SCV is affiliated with the VCA and is part of this State's democratic canine structure, control of breed standards and licensing is in the hands of the ANKC. Once automatically adopting the Breed Standard of a "Country of Origin or Development’”, the first revision of the Saluki Standard introduced by the Kennel Club (UK) in 1986 saw such world-wide objection that the SCV initiated a process which presented united opposition to automatic acceptance, through the Australian National Council on the Saluki Standard (ANCSS). This became the National Saluki Council (NSC), comprised of delegates from the four State Breed Clubs (SA and WA having formed Clubs affiliated to their State Controls.) In due course a ballot requested a return to the pre-1986 Standard and eventually the original UK 1923 Standard was re-instated in Australia and the same option was extended to other breeds. The principal achievement of the NSC was the introduction of the Extended Breed Standard approved by the ANKC. (See the link to Breed Standard). The NSC also enabled so-called ‘National Shows’ to be conducted in Sydney, Melbourne and Adelaide, hosted by the local Clubs - until NSW withdrew its support, causing the demise of the NSC and contributing to the WA and SA Clubs losing their national focus and thus the drive to maintain their own local affiliation. The SCV was founded on the principle of providing the vehicle for conducting official competitions, Parades, Open and Championship Shows and assisting Judges’ Education. Other functions such as full participation in VCA affairs were left to individuals who had both the time and ambition. Prior to taking office as SCV President, Kevin Summers served on the KCC Committee as well as being President of his local All Breeds Club in Seymour. Our current President serves on the VCA Investigations Committee. Former President Barbara Taylor now serves two All Breeds Clubs in that role. Past Secretary Jan King is the long serving secretary of her local Frankston Kennel Club. Other members have served the broader canine community. A number of members may be found in the VCA’s website link to JUDGES, several distinguishing themselves with many Australian and overseas judging appointments. In addition, two members are accredited ‘All Breeds’ judges: Ian Rasmussen (Queensland) and Dr Margaret Giles (NSW). One area in which the Club has participated fully is that of Judges' Education. The Training Scheme itself has been the subject of a number of Club submissions. Members have generously supported Trainees by providing their dogs for examination at Breed Lectures and for inter-breed competitions specifically designed to assist Trainees. The Club is fortunate to have had many leading overseas breeder/judges accept the invitation to travel to Australia to give Saluki enthusiasts in this country the benefit of their knowledge and experience. All judges at SCV Championship Shows are assisted with their expenses for such appointments, and in number of cases the costs and appointments are shared with other clubs, thus benefiting all stakeholders.